We’ve all seen them – bumper stickers on the back of the family car. Sometimes they are shiny and new, and other times, they look like they have been there a while. They proclaim proudly that “yes, I am proud of my smart kid,” but they don’t tell us much more than that. Was it hard to achieve that honor? There sure seem to be a lot of cars with similar stickers. Wow. Seems that if you are a health care organization, it would be in your best interest to apply to each system and then pick the one that shows you in the best light. 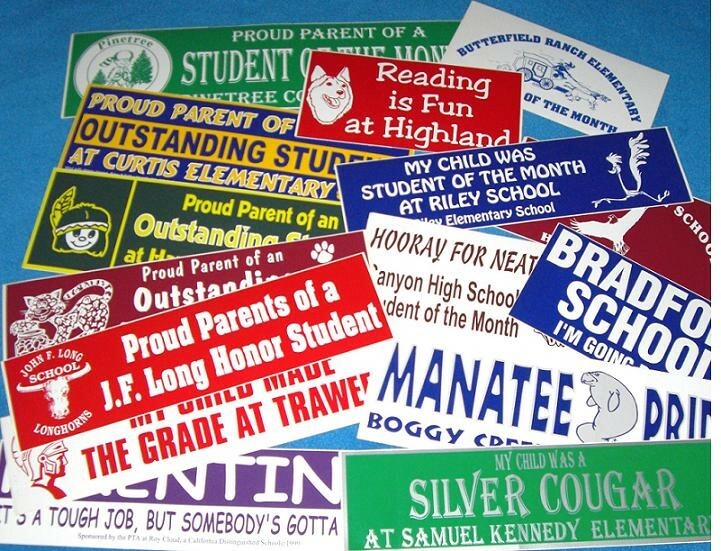 There is a good chance that at least one would provide you with a “bumper sticker” banner opportunity. But what does that achieve? Isn’t the point of this exercise to help patients make the right decision among many choices? Aren’t we supposed to be entering the era of consumerization of health care? The solution is not to do some broad government mandate – that all organizations have to do one survey or one unified test for quality. It would likely be so watered down under political compromise and the intransigence of Washington politics as to be not informative to anyone, least of all the consumer. Government has a role – not in forcing a standard – but in helping to expose the public data they have begun sharing with the open data initiative. Tremendously valuable data lives on sites like http://www.medicare.gov/hospitalcompare, but often consumers are not aware they exist. The market can and should sort this out. We should continue to encourage private enterprises to take government data and invest in the user experience work to make it widely available online, in apps and via text and interactive voice response services. There is clearly an opportunity for public-private partnership here. Payers set criteria for inclusion in their networks – those criteria should be shared. If they are our proxy purchasers, tell us consumers what they look for and what they expect from providers. Payers will fear giving up some “competitive edge” by sharing, but perhaps they can gain the edge by being on the side of the consumer, who increasingly is paying a larger part of their premium. As health care professionals, we need to stop “gaming the system.” We owe our patients answers and not bumper stickers. Bill, Really liked the post. Can you provide the reference? I am on a group working with USNWR on their next iteration, and I would love to read the article you discussed. You can find it in the March issue of Health Affairs. See: “National Hospital Ratings Systems Share Few Common Scores And May Generate Confusion Instead Of Clarity”, J. Matthew Austin, Ashish K. Jha, Patrick S. Romano, Sara J. Singer, Timothy J. Vogus, Robert M. Wachter, and Peter J. Pronovost. Health Aff March 2015 34:423-430; doi:10.1377/hlthaff.2014.0201.